Posting this pic of my dinner last week as a test post. 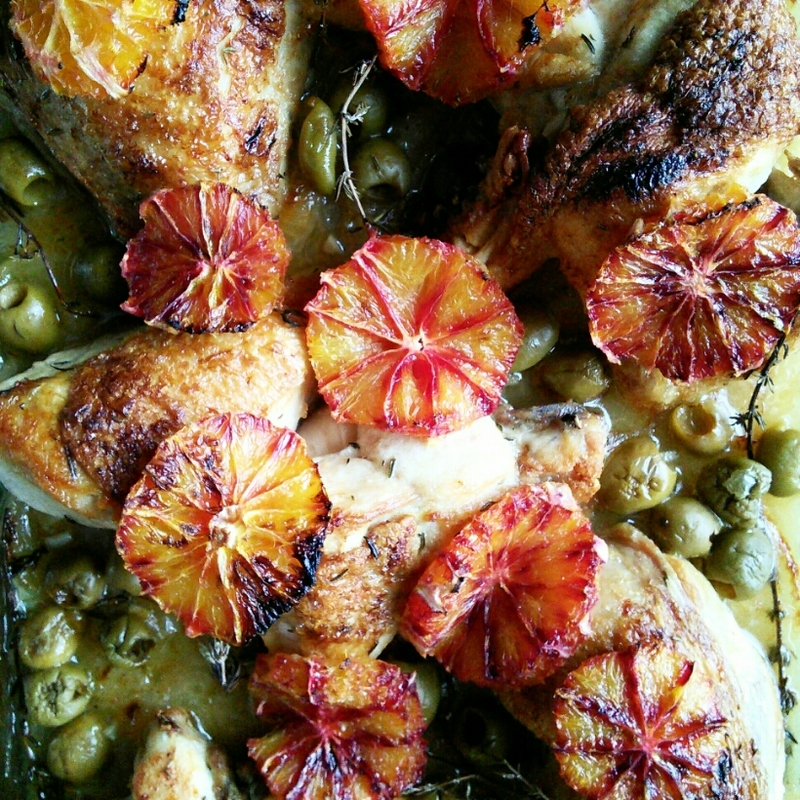 The recipe can be found in the new Diana Henry book – A Bird in the hand, it’s called blood orange chicken and is really delicious. Welcome to gluten free blogosphere. Love your theme. Good luck! Thankyou! I love the idea of your lemon cakes they look delicious. I’ll have to give them a try.